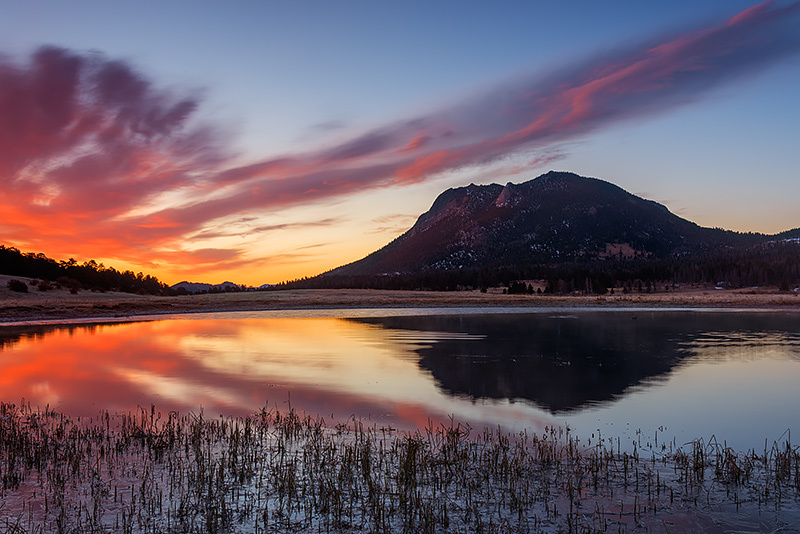 Clouds drifting over Deer Mountain at sunrise color reflect in the placid waters of Sheep Lakes on a calm and beautiful morning in Horseshoe Park. A favorite location for the resident Big Horn Sheep of Rocky Mountain National Park, Sheep Lakes had only a few Mallards and Canada Goose hanging around on this pristine morning. Photo © copyright by Thomas Mangan.